In this episode, I share the top 5 mistakes I see people making with their online shops. I’m focussing on Etsy today, but honestly, these issues crop up no matter what online venue you are using – so even if you’re selling somewhere other than Etsy, you will benefit from this episode. If you have high priced or artist pieces, you might be able to get away with less products. With Etsy, you should have 25+ products which will give you more than one page of products. You want your shop to look full and that you’re serious about business. But you also don’t want to have too much choice. 100 products is said to be the magic number on Etsy but don’t panic if that’s out of the realm of possibility for you. Grow your items slowly but surely until you have a good selection but don’t go the other way and have too many products. Don’t be afraid to get rid of things that aren’t working. Don’t use flash photography as it looks awful and makes harsh shadows nor does it to any products any favours. A bit of styling is OK but don’t clutter the image. Dial back your styling until your product is the star of the photo. If your item blends into the photo, it’s too cluttered. Taking photos freehand will definitely give you blurry photos sometimes. On the camera screen it might look fine but if you blow them up on your computer screen and they aren’t sharp, redo them. It will take trial and error – you can do it, it just takes time. Filtered or ambient light is best. Before you work on your marketing, spend time on your photos and getting them right. It’s important that people can see who you are especially with resellers and big companies infiltrating the market. Show behind the scenes photos to show social proof that you brand is genuinely handmade. Customers can separate your quality from all the rubbish that is out there. It’s important with connecting with your ideal customer. Be genuine and warm and tell them why you make what you make and why they’ll love it. 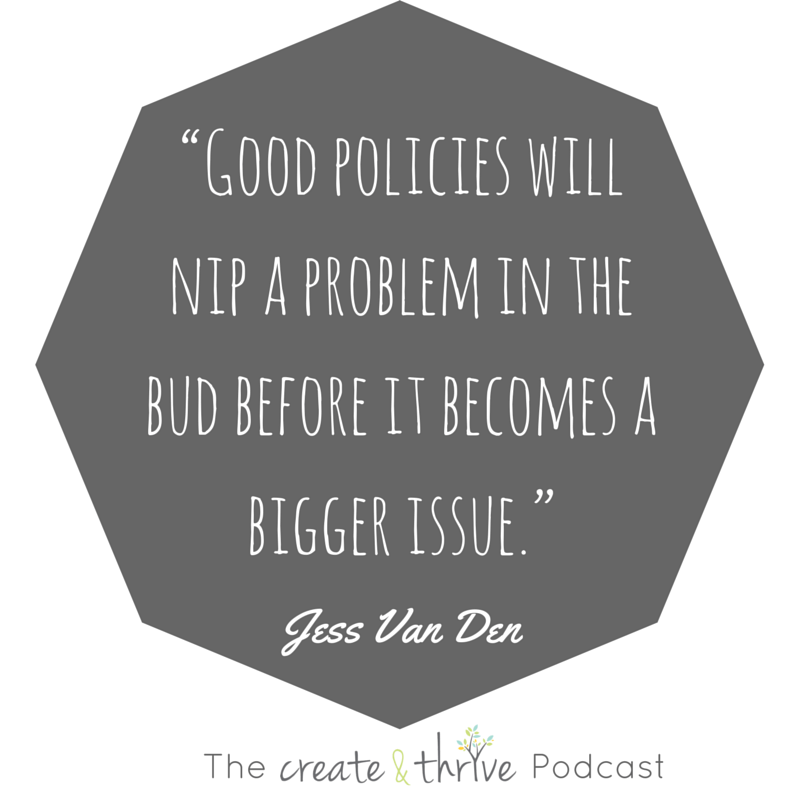 If you don’t have Policies or a FAQ in place, make that a priority. It will make dealing with issues really easy since you will have a policy to refer them to. Customers can know before they buy what your policies are and can make an informed decision to buy. There’s lots of great examples out there and see which ones are clear and especially in your specific niche. Descriptions help you convince your customer to buy. Most of the time you want to tell customers that you have what they need and the detail in your descriptions will do that for you. People are inherently lazy and want to know all the answers to their questions upfront so describe the item as if they can’t even see it. Benefits and Features are the most important aspects of your product so figure them out first. What is the emotion attached to the item? Include that story in the description.